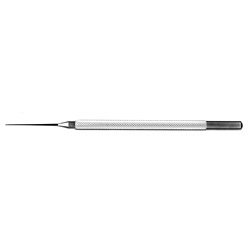 Straight shaft, 0.5mm diameter tip, sandblasted side on reverse of curette. Round handle. Overall length: 127mm.